What if a group of psychic strangers came together to save the world? Mia, Thomas, and Kate have paranormal abilities. And a common destiny. They just don't know it yet. Mia Rosetti is used to being different, especially since she can tell if people are good or evil just by looking at their auras. But when a mysterious (and handsome) stranger walks into her life without one, she starts questioning her power and begins a search to find the true purpose of her gift. What she doesn't know is that aura-less Thomas harbors secrets of his own - an abusive past and the ability to avoid danger. Halfway around the world, Kate uses a form of telepathy to provide for her sisters and is excited by the prospect of going to the United States to secure their financial independence. None are aware of the ancient prophesy foretelling the birth of seven psychics destine to change the world. 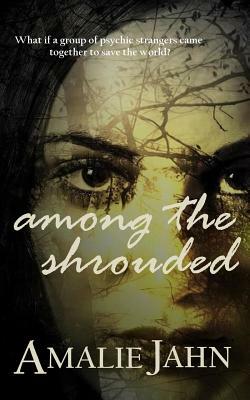 Among the Shrouded follows Mia, Thomas and Kate, three unsuspecting strangers whose lives intertwine to reveal the significance of their gifts and the greater purpose of their collective lives. Amalie Jahn is the author of young adult fiction as well as many, many to-do lists.